ALL ABOUT THE EARTH, THERE ARE MARVELOUS TRANSFORMATIONS TAKING PLACE. ONE IN PARTICULAR INVOLVES THE MINERAL RICH SOIL, PLANTS AND US. Fulvic acids in the soil literally transform minerals and other nutrients into minute molecules making them easily absorbable by plants. Plants take these nutrients and with the process of photosynthesis create the ability for minerals and metals to be transformed into our living tissues when we consume them. 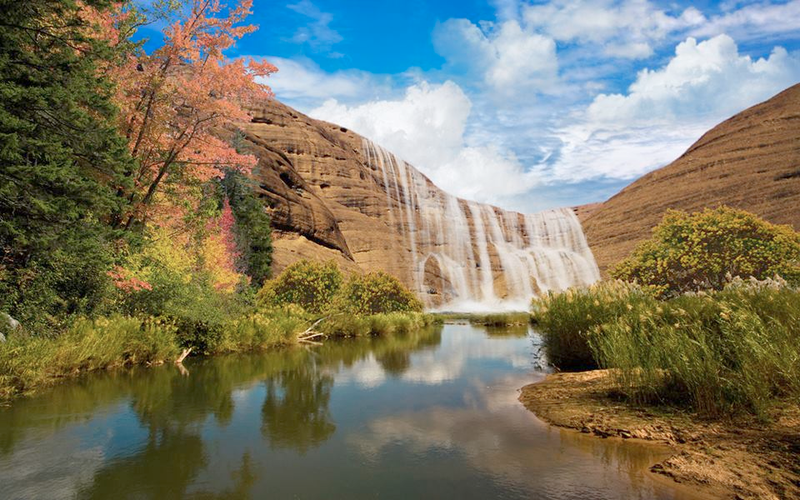 There is an ancient forest millions of years old that is preserved in a Utah mine and the source for this mineral supplement. Two times Nobel Prize winner, Linus Pauling stated: “You can trace every sickness, every disease and every ailment to a mineral deficiency.” Trace minerals assist in every aspect of life including digestion, energy and hormone production, muscle and nerve function, metabolism, and the regulation of our blood sugar and pH. Why do we need to supplement minerals in our diet? Well the primary reason is that our soils and fields used to grow our food have been much depleted of their natural resources of abundant vitamins, minerals and all the other nutrients that once were there. This is especially true if we are eating commercially grown food instead of food that is grown by organic methods. Eating 100% organic foods is still no guarantee that we are getting all the minerals we need, but it sure will help and we can also avoid GMO’s. A secondary reason we need to supplement minerals is that the natural flora of microorganisms and beneficial microbes that are naturally found in healthy soil have been severely depleted. This is especially true with commercially grown farms that use pesticides, herbicides and fungicides. These “cides” kill off the microbes that are crucial for the plants ability to convert trace substances into bio-available nutrients. Without this ability the plants themselves become deficient and this starts the vicious cycle of malnourishment from the get go. Chemicals, fertilizers and pesticides, along with a drier climate and a toxic environment, have all contributed to this. It is known that every human needs at least 90 nutrients to maintain their health. These nutrients include about 70 minerals, 18 amino acids, 3 essential fatty acids and vitamins. An individual eating a very balanced diet in today’s world still comes up short on the nutritional side because most foods are highly processed and cooked which makes matters even worse. We have no other option but to supplement our diets with the best possible sources of nutrition. There is a story I heard from the great grandson of T. J. Clark and it goes like this. Back in the early 1020’s Mr. Clark was in touch with the local Indians who had legends about a ‘Spring of Life’ that was located near the site of the current mine. In days gone by, it sounds like, there was a spring source above ground and the sick and ailing Indians would go there to drink of the healing mineral waters to get well. With the discovery of this underground source of ancient plant deposits, we can all benefit from this truly remarkable and rare spot on mother earth and heal our bodies with one of nature’s most potent and easily assimilated sources of minerals. Minerals are more important than vitamins. Our bodies can manufacture vitamins and even biologically transmutate minerals into vitamins, as well as certain amino acids, however, minerals must be supplemented from our diet. The most important type of minerals are from plant based sources and are the easiest to absorb to the human body. Plants appear to be the greatest magicians when these nutrients are absorbed from the soil and pulled up by the tiny plant rootlets and transformed by photosynthesis into a state that our bodies can utilize. A substance called Fulvic Acid is essential in making this whole dynamic process happen. Fulvic acid is the by-product of the natural breakdown of organic matter and makes up part of the structure of rich soil. It is a complex mixture of many different acids and a natural component of mineral colloids such as in this product. It is created by the actions of millions of tiny beneficial microbes working in a soil environment with adequate oxygen. These microbes help convert mineral compounds into mineral elements, which can then be absorbed by the plant root ‘hairs’- one ion at a time. This interaction must take place between fulvic acids and the minerals in preparation for the plants use. I like the expression that the “soil is the stomach of the plants”, preparing powdered rocks and mineral elements into minute molecules that plants can readily absorb. Fulvic acid can prepare trace elements and minerals to become part of its molecular complex, which is an ideal form for the plants to utilize and absorb through the roots, and interact with their living cells. The minerals are transformed by photosynthesis, which is essential for our health. Fulvic acids can assist high-molecular-weight organic compounds like minerals and metals to become water soluble, decrease their weight and be readily absorbed for the plants use. Fulvic acid does not ever need to be added to a mineral supplement as it should already be occurring naturally at a ratio of 6-7%. It is present in every true plant-derived, organic source mineral with no need to add more. Any companies suggesting they add it to their products are probably not selling true colloidal minerals. The words organic and colloidal have been used to describe these minerals and they are both accurate. Organic in its basic meaning refers to a compound that contains a significant amount of carbon and protein. In modern times it refers to a product that is free from pesticides and chemical fertilizers. In 1926 Thomas J. Clark coined the term ‘colloidal’ to describe the minerals that are so small that they do not fall out of suspension. Colloidal means colloid particles as small as one nanometer (1/1,000,000,000- one one-billionth of a meter) that are in suspension in a liquid. Saying it another way, Colloidal Minerals, such as FundaMinerals, never settle to the bottom of the container and they never need to be stirred or shaken. This mineral supplement stays in suspension and in the body can go directly into the cells. What T. J. Clark discovered in a remote valley in Utah in 1920 was very rare and perhaps the only valley of its kind. Imagine an ancient forest along an alluvial flat on a river or seashore that was buried very quickly by rising flood waters some 60-120 million ago. This forest was encased with silt and covered with sand. Pressure and heat over the millenniums were not hot and powerful enough to turn the deposit into coal and complete the carbonization process. In other words, the minerals remained in an organic plant form and did not turn back into rock. What’s there now is a layered deposit compressed under 120 feet of sandstone that appears to be a mummified or million year old dried compost pile. This sits on top of a clay shelf that is beneath the forest deposit, which prevents the minerals from leaching through. Within the layer of prehistoric forest there contains what looks like branches and plant remains. This looks solid as a rock but can be crumbled with your hands and breaks apart when it is brought to the surface. Imagine these trees and plants that have been able to extract minerals from deep in the prehistoric earth’s soils, which are not found in today’s surface soils and farmlands. These ancient plants in this forest created rich storehouses of organic fulvic acid minerals. It is thought that these soils contained at least 90 nutrients, readily available for the use of the trees and plants. How amazing to have access to what appears to be a one in a million chance preservation of such a storehouse of organic nutrients. 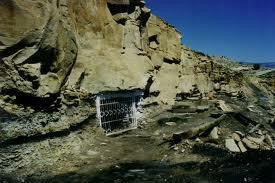 The T. J. Clark mine is such a deposit and the source of our mineral supplement. One note is there are many other companies that claim to be using this mine’s mineral source and in fact most are not, as they are assuming all sources are the same. Even the deposits from the surrounding area do not have the same magic formation that other companies claim, as I was told by Jay, the great grandson of T. J. Clark. It is the uniqueness of this mine that is so special he says. Also anytime other brands mention to “shake the bottle before using,” beware! They contain minerals too large to enter the blood cells and may have been extracted by an acid solution or other means rather than extracted by using only purified water. True colloidal minerals do not settle to the bottom of the bottle. These minerals never come out of solution because they are suspended in the identical way they were in the plants. REMEMBER IT IS NOT THE AMOUNT OF MINERALS YOU TAKE, BUT HOW MUCH CAN BE UTILIZED BYTHE BODY, and just as vital, is making sure the minerals are in an organic plant form. One thing we are sure of is that it is vital to have these essential and trace minerals in us because our bodies can only efficiently use organic minerals (minerals that have been chelated to a protein molecule). Inorganic minerals are toxic and difficult for the human body to eliminate. Our bodies PH balance is maintained and affected by this supply of minerals while also maintaining the body with a powerful conductor of electricity. These minerals complete the circuit, so the electricity we get from food and the creator can flow throughout our bodies, and we can manifest movement, thinking and daily life. Our bodies consist of a bag of water, held together by minerals, and running on electricity. What most people do not realize is that the trace minerals do not carry an electric charge. If they did they would be called electrolytes. But they are crucial for the electricity to flow in a circuit throughout the body and maintain our basic nutritional needs. The finest and most effective mineral supplement needs to be 100% organic and in a colloidal state. They must have the ability to combine with the body’s enzymes and draw out from the joints, blood and body tissues the harmful inorganic minerals and drugs that cause so much harm. Minerals work with enzymes to eliminate toxic cellular waste and this is why minerals are known as detoxifying agents. We must have trace minerals for every cell and organ to function. Without adequate iron for an example, you will become anemic and have no energy. Without selenium and other minerals you become more vulnerable to cancer. Also missing certain trace minerals may lead to a person’s hair turning grey or fall out. One important aspect of their organic and colloidal nature is that these liquid minerals can be easily absorbed and utilized by the body. In this form they are so tiny they are capable of being absorbed even through the unnatural mucoid plaque in the intestines and stomach that can inhibit proper digestion and assimilation of the food one eats. 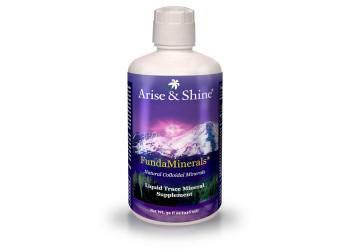 FundaMinerals natural colloidal minerals contain over 72 natural minerals and trace elements in their original colloidal form for faster and effective assimilation and utilization by the body. Cell energy, brain, heart, and hormonal function, pH balance, digestion and metabolic regulations are all dependant on an adequate supply of minerals. The minerals in this formula are plant-based and naturally balanced to provide one of the most complete trace minerals supplements available. Caution: Some companies sell the same minerals, but highly diluted. By adding 4 to 8 times more liquid in the form of water, a sweetener and selling it very inexpensively, they make a huge profit. The way you can tell is by tasting it. If it doesn’t have an overwhelming pungent taste, you know it was diluted. Dr. Anderson tells an interesting story in this regard. He was attending a health convention where people were selling products at a booth. He purchased a quart of trace minerals that were advertised as tasting good. Within a half hour he drank the whole quart. He remarked that you could never do that with our Liquid Minerals because they are so concentrated you could not possibly drink that much; it would overwhelm the body, cause major diarrhea and not allow you to keep drinking it. Fulvic acid is a unique substance and because of its rich mineral content it is a “poly-electrolyte” or electrically conductive. Fulvic acid can help prevent or correct many health problems. Fulvic acid is always bound or chelated with trace minerals and contains many amino acids, enzymes, natural antibiotics, natural anti-virals, many nutrients, and is an exceptionally powerful antioxidant. In most people fulvic acid increases energy levels, improves metabolism, skin and nails, improved levels of concentration and focus and creates a stronger immune system. Fulvic acid assists to chelate heavy metals and toxins out of the body, and makes nutrients more absorbable by the cells. With better nutrient uptake, cells function better and have greater energy. Other benefits include increased metabolism of proteins, enhanced electric potential of cells, restored electrochemical balance, increased enzyme function, improved immune system, and the bio-availability of nutrients and minerals. 2 One Study, the Smith Report, found that there was 395% less selenium in commercially grown food than food grown organically. Selenium is an anti-cancer mineral. 80 breast cancer patients who had a mastectomy were found to have a selenium deficiency. Selenium is also an important precursor to glutathione enzymes. Glutathione is the master antioxidant and detoxifier in our bodies. Low levels of glutathione have been linked to the development of cancers of the colon, prostate, breast, and bladder. Here is a breakdown of this mineral supplement. This product is not limited to just these elements, and they can be present in varying amounts. Trace Minerals are essential to good health and deficient in most foods people eat today. Are there heavy metals in this supplement that I should be concerned about? There are heavy metals in almost everything and this too. There are heavy metals in all the food you eat and if it’s commercially grown, then there are more. The reason is that they use arsenic and lead in pesticides, fungicides and herbicides. The question is, are heavy metals that became organic toxic? Evidence suggests they are not, but there have never been any studies on this, so we can’t say with certainty. So what about heavy metals? We all know the hazards of possibly ingesting aluminum or arsenic in their raw state on the earth’s surface. Many heavy metals are toxic to the body and its good advice to avoid them. It is important to understand that once fulvic acid has prepared elemental minerals in the soil, they become transformed. Next with the process of photosynthesis and further transformation, they can now be stored in the plant tissues as an organic substance in a new covalent bond form. Our bodies are able to break down these covalent bonds and utilize the nutrients or eliminate them. 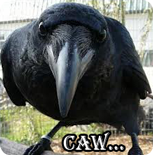 One issue is that even though they are now in an organic state, they still retain their name as lead, arsenic etc. The classification of all minerals as the same regardless of their organic or inorganic state, breeds confusion, and the thought that they are always toxic, and this is not always the case. There are some minerals that have been chelated to a protein molecule through commercial processes, which are known as mineral chelates. Some studies have shown that “organic” selenium, zinc and iron, which are highly toxic and have caused death in many people, are not toxic at all in the organic form. Organic minerals from plants are all the better. But again, because of a lack of research we can’t say for sure that all heavy metals in the organic form are non-toxic. However, we find, a person cannot maintain proper digestion of foods without chlorine, as it is a component of hydrochloric acid. Deficiencies of colloidal arsenic can include depressed growth, impaired fertility and myocardial damage. We can have a deficiency of iron in our blood and at the same time have severe iron toxicity, because a person took inorganic iron supplements. This is common and many children have died from iron toxicity. There is no evidence that organic iron supplements have ever caused iron toxicity. The point is we ingest many of these elementals in all of our fruits and vegetables every day. These substances in their organic, chelated and colloidal form are crucial in our diet and health whether we know it or not. Also, it is good to remember that the earth’s crust is 8% aluminum and nature already knows how to manifest these elements into a form that we need in our bodies or can eliminate safely. There is research that suggests that organic aluminum can be transmutated into calcium and utilized in the body that way. While researchers are not sure if mercury has any benefits, we do know that the quantity which may be present in this mineral supplement is so infinitesimal that one analysis suggests a person would need to drink up to 140 bottles (twelve year supply) to match the mercury level in one can of tuna. Knowledge is Power and Understanding. Is the product from ancient soils? The way I read it the source is from water that has Aguirre the trace minerals from the passage through the ground? The ones I am more familiar with are from plants grown in the rich soil and then converted to a consumable form. Same benefit? Yes it is from ancient deposits. These deposits have not turned to coal or stone yet. That is the amazing thing about it, it is still in plant form. However, it is only a small area that has this. So most other supplements are not in this absorbable state.